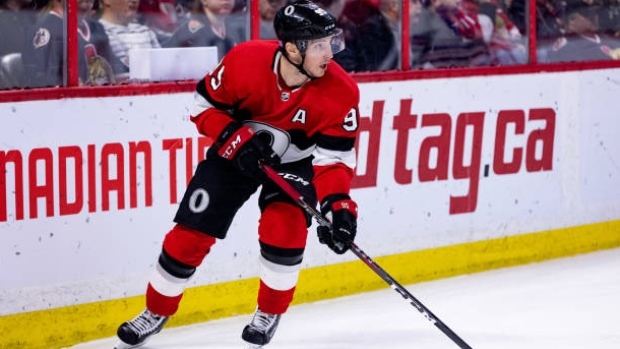 The Ottawa Senators are not expected to sit pending unrestricted free agents Mark Stone, Matt Duchene or Ryan Dzingel in their games this week leading up to the trade deadline, TSN Hockey Insider Darren Dreger reports. According to Dreger, all three forwards are expected to dress against the Chicago Blackhawks on Tuesday and in their back-to-back games on Thursday and Friday against the New Jersey Devils and Columbus Blue Jackets. Time to focus on lineups, call-ups and healthy scratches. Sens in Chicago tonight. Duchene, Stone and Dzingel expected to play. Games Thurs/Fri as well. Senators head coach Guy Boucher said the decision on whether players would rest ahead of the deadline was not up to him. "I'm coaching, that's not for me," Boucher said Monday. "I'm coaching and all our best players are going to be on the ice, because I'm a coach. The rest is not for me." Dreger reported Sunday that, barring a last-minute change, Duchene is expected to be traded by the Senators ahead of the deadline. He added the team has turned their focus to re-signing Stone, though his future should be determined in the coming days as well. Dzingel, who sits third among Senators forwards in points behind Stone and Duchene, is also believed to be drawing interest on the trade market. Dreger told TSN Radio 1050 Toronto on Monday that it's becoming an increasing reality that both Duchene and Stone could be traded at the deadline. “They don’t feel, given everything they’ve got coming and what they have in youth on their existing NHL roster, that they’re that far away from flipping the switch from a rebuild into a real competitive team, and then again not that far away from being a playoff-worthy team,” Dreger said of the Senators. “Now is that two years, is it three years? Melnyk says that he’s going to start spending to the cap in 2021. Well, I’ll believe it when I see it, and I think that’s kind of the way that most – even those employed by the Ottawa Senators – look at it. “If that happens, and I expect it’ll happen between now and Wednesday where he’s got to define his direction of ‘I’m signing’ or ‘I’m not,’ then that shifts. The Senators sit last in the NHL with 49 points in 58 games this season.